There are many myths pertaining to the subject of organ and tissue donation. Some are so deeply ingrained in a person’s psyche, he or she dismisses fact and logic and holds fast to unsupported claims; however, there is one fact that cannot be dismissed: if organ donation did not exist, thousands of people would die. As it stands, 22 Americans die daily because of the lack of available organs for transplant. According to the United Network for Organ Sharing, more than 25% of those who died awaiting a transplant in 2015 were African American. Currently, 30% of patients waiting for a lifesaving transplant are African American, and unfortunately, the wait time for many of these individuals is greater than their white counterparts. Debra Cason is one of the thousands of individuals listed for an organ transplant. Cason led an active life prior to her kidney failure diagnosis. She traveled, worked full time, and helped her youngest son transition from high school to college. However, after almost eight years of waiting for the right match, she is no longer able to live the life she once enjoyed. 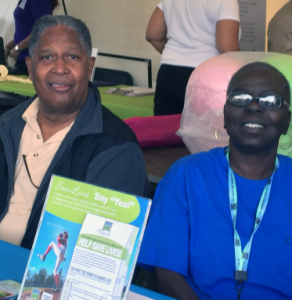 “As a kidney patient, I suffer with bouts of anemia and low energy levels,” said Cason. “I have been unable to secure full time employment and travel at will. “We look for genes that are a match in the same race,” said Dr. Mayra Lopez-Cepero, Senior Vice President and Director of the LifeLink® Transplantation Immunology Laboratory. Lopez-Cepero and her staff work to make sure the best matches are made between an organ donor and recipient. 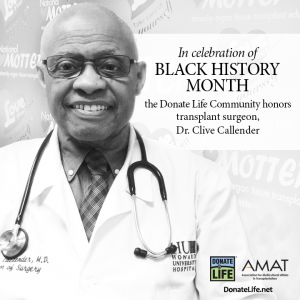 As the nation celebrates Black History Month and the amazing contributions African Americans have made for this country, please consider another remarkable act: Register to be an organ donor. Signing up to be an organ donor is simple. One can declare their wishes when renewing or receiving a driver’s license/identification card at the DMV or online at www.registerme.org. Organ donation occurs after death and one donor could save up to eight lives. One “yes” can make a difference. Virtually everyone is a candidate for organ donation. Potential donors are evaluated at the time of death. All major religions support organ donation as a personal decision and generous act of kindness. Organ donation places no financial burden on the donor’s family. Emergency response and hospital staff work hard to save the life of every patient. Organ donation is an option ONLY after every lifesaving measure has been exhausted, and the potential donor has passed away. Emergency response and hospital staff do not have access to state donor registries to confirm donation registration. Non-whites are disproportionately affected by illnesses, such as hypertension and diabetes, which can lead to end-stage renal disease and the need for dialysis or a kidney transplant. Non-whites comprise 32 percent of living and deceased organ donors, while making up 36 percent of the U.S. population. 58 percent of individuals on the national organ transplant waiting list are minorities.